I just finished reading the Lord of the rings. I read it about 15 years ago and part of it when the movies came out. I really got into the book fast and enjoyed the reading very much. There are so many more details in the book which are not found in the movies, even in the directors cut. I like the movies a lot and saw them several times, but the actual book is a lot better. The story is a fantasy story with a lot of thing that speak to me. I felt a longing to be part of that story. I know this sounds ridiculous. But I guess it has to do with wanting to have purpose and be interwoven in a important story, to have meaning and become a hero on the way. It is a story of good and evil and how good prevails. It is also a story of having roots, history, rich of tradition and culture. There is one thing I wondered about the story. There is no mention of God, or gods, or any religion. There are the evils and the good and a mention of a heaven. I never thought of it before. "The hands of the king are the hands of the healer, and so shall the rightful king be known"
Aragorn changes from a hidden heir to the throne to a leader and healer of his people. At the end of the book a new age starts in middle earth. An age of peace. A place where it is save to travel to parts where nobody dared before. The land is healed and many years later the wounds of war will only be a memory and part of lore. I am part of a story. Perhaps not that important to world peace and overcoming evil. But perhaps more like one of the lesser characters I play my part in the story of this world, my family, friends and my people. I will never be the one recognized as the one who destroyed evil, the healer, or protector. I may never have big titles or being honored in high places. At least not in this world. Still I feel that the parts I play may have more relevance in the big picture then I think. Is it an unreachable dream? To end poverty? Or better say extreme poverty as Jeffrey D. Sachs writes in his book “The end of poverty”. I started reading it some weeks ago and try to fight my way through pages of economic change and explanations about the world with its one billion extreme poor people. Thousands of children die every day of malnutrition and sickness. 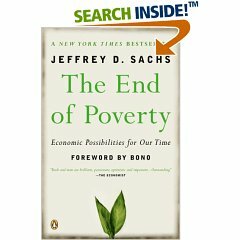 Sachs says it is possible to stop extreme poverty till the year 2025. A very interesting read even for someone who doesn’t have much understanding of economics. It seems to be a very practical approach. I haven’t finished the book yet, but would really recommend it. It gave me some interesting insight into how countries develop. In the west we are readily to judge so called “third world countries” and point out that it is their own fault and that they should help themselves. But if poverty is at an extreme end, there is no way to get out of it by one self. Millions of people find themselves on the bottom of a spiral without hope of getting out. Poverty is the inability to choose. Working with the poor here in Thailand taught me a lot. Still there are many factors I don’t understand. This is a theme that will be researching for months to come. I want to find out what it practically means in our work situation with the Lahu People. One thing that Sachs doesn’t address is the spiritual factor. The Christian Lahu villages seem to be doing much better than their non-Christian counter parts. On the other hand I think the villages who had help in starting their development were able than to develop themselves further out of poverty. Like the Thai Royal projects. I will explore this more in a future post. I’m reading Philip Yancey’s book "The Jesus I never knew" . It brings up a lot of feelings of appreciation for Jesus, or should I say love for the King I follow. I am pulled into His presence and intrigued by the way He lived life on earth. My mind is going through the chapters of the gospels and also through the chapters of my own life getting more clarity of His involvement in my life and how much He loves me. It is fascinating the way He journeyed through His last three years on earth. The way He could live His live in the knowledge of the big picture. He knew who He was ( how much I would like to know who I am), He was totally secure in His relationship with the Father and the purpose of His live. Reading the book makes me aware again that He is the person I want to follow. I just finished a book that a friend gave me to read. It’s called "Friendly Fire" Why is God shooting at me? by William G. Johnson. The writer uses the book of Job as a base to show difficulties (Job’s suffering) in life with the often oversimplified or legalistic answers christians present us (Job’s friends). Sometimes things don’t work out the way we thought they should, I wonder why God does not show up, God seems to be silent, absent or just doesn’t care. After reading Job again, I sympatize with the poor fellow who lost everything. I mean we do know the end. He didn’t. He thought he is going to die soon and all his friends kind of finish him off verbaly. Don’t all of us sometimes feel that desperate cry in our soul that just wouldn’t come out. The only thing left is our faith in God and the hope that it will be better someday. Everthing seems to hang on a thread. The author speaks of battlepoints in our lives. Testing, brokenness and spiritual conflict. God let’s does "batttlepoints" happen so we can grow in our lives by expiriencing victories over these battles through His working in us. This brings glory to God. (This is hart to say in one sentence, the book makes more sense). I think if we have eternity in our hearts we know that the things, the battles we face here are not an end in themselves. They change our inmost being and this is for eternity. Some battles our won here and blessing flows out of it here on earth, others take longer and we will expirience God’s blessing when we live this place for heaven. I like books next to my bed. Even more so when they pile. I always read a view pages before I go to sleep and sometimes before I get up. Here is the list of books on my bedside table. This book I’m reading now for the second time in a row. I like Ortberg’s aproach to spiritual disciplines and how to be transformed trough them. This one I just started reading two days ago. I found it on a yard sale for 20 baht. I liked the outline and hope to get some answers about "the true meaning of being successful as a believer in Jesus. Both books are about the Enneagram. They were given to me to read out of a desperate attempt to show how weird I realy am (just kidding) Actually they helped me a lot to understand certain areas in my life and the way I work, especially in conflicts, feedback, expectations and how I work and tick. At the moment I am challenged how to build questasia and what it would/should be? How do I lead/manage my team?